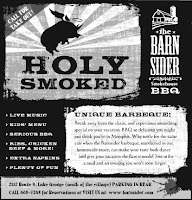 With the aid of a fresh new advertising campaign, the folks at The Barnsider Smokehouse Restaurant are sure to be smoking the competition this season. Located just South of Lake George Village, The Barnsider is a family friendly restaurant with live music and the best BBQ around. With a series of Trampoline created advertisements set to run in local and regional publications, the word is out about this family run business! 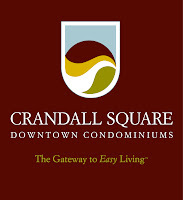 Downtown living takes on a whole new meaning in Glens Falls as the luxury condos at Crandall Square fill with eager residents. Located on Maple Street in Glens Falls, the condominium complex houses 20 luxury units within walking distance to all downtown venues. Crandall Square Condominiums boast a prime location between the beauty of Lake George and historic Saratoga Springs. Branding and a wide-scale advertising campaign provided by Trampoline Design have positioned the project for success across the region, drawing potential buyers from as far as New York City, Lake Placid and Eastern New England. A polished color palate, paired with artwork incorporating the Adirondack Mountains, Hudson River, and big skies of Upstate New York, present Crandall Square as the image of simple and elegant sophistication. JMZ Architects and Planners in Glens Falls, NY has tapped Trampoline to build a new website. They already have a design and a plan in mind (they ARE architects and planners, as mentioned earlier). We're going to bounce the site around on the ol' Tramp and see what jumps. We're excited to be working with a company like JMZ—their focus for the past five years has been Education, specifically at the university level, and in that short time they have become the standard in that niche of their industry.